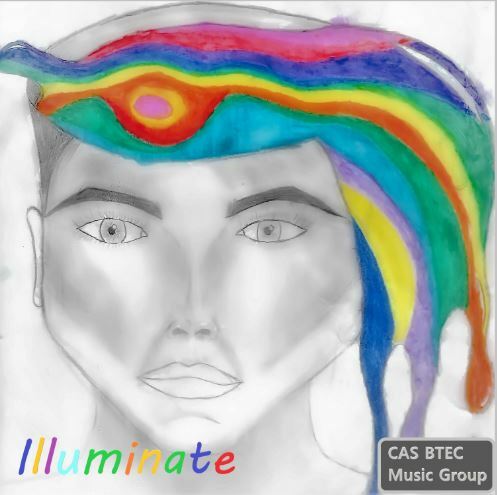 Our BTEC music students have produced their own album as part of their studies, with all proceeds from the sales going to the charities the Academy supports. Months of hard work and commitment have gone into the project, with students using their own time as well as lessons to write; perform and mix the songs. Combining original compositions with covers of existing songs, the students have really showcased their musical talents. The concept of the album is addressing issues faced by young people as they transition through high school. The students want those who may be experiencing any kind of hardship to know that they are not alone, and that there are others going through the same issues. As well as performing at the Academy, the students will be touring local radio stations to promote the album and give more insight into the choice of songs and the process of putting it all together. Guided through the process by Head of Music Mr Ward, the students have worked incredibly hard from sitting down and forming the concept, to the end point of creating the album and promoting it. A huge well done to all involved. The album can be purchased for just £2 at the music department or the Academy reception. See below for album details and a sneak preview!